The clearinghouse for all financial obligations owed to the College resides within the Controller’s Office. Within that office, payments are processed and students are billed for tuition, fees, room and board, traffic fines, residence hall damage, etc. All billing questions should be addressed to Student Accounts in the Merkert-Tracy Building. 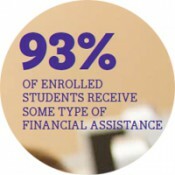 This information is also accessible via the Internet on the College website at www.stonehill.edu/student-accounts/. Notwithstanding any language to the contrary, the College makes the presumption that all students must register each semester. If a student fails to do so, College privileges may be revoked including but not limited to access to classes, the residence halls and meal plan. No student can register until his/her obligations to the College, financial and otherwise have been cleared through the appropriate office. Bills for the fall semester are available electronically in mid-July. Bills for the spring semester are available in early December. Payment of fall semester billing is due by August 15th. Payment of spring semester billing is due by January 2nd. Payment is made by check or money order, payable to Stonehill College, and addressed to the College Cashier, Stonehill College, Easton, Massachusetts 02357. Credit/debit card and electronic check payments can be made on-line. The fee for debit/credit cards is 2.75% with a $3.00 minimum fee. No payment is considered officially received until it has been receipted by the College Cashier. A late payment fee of 1.00% per month may be charged on any balance outstanding after the due dates noted above. When required obligations to the College have been satisfied and health insurance coverage has been verified, the Associate Director of Student Accounts will notify the Registrar that the student is eligible to register and/or start classes. To complete registration, the student must finalize any required process on-line. Late Payment Fee 1.0% per month. Assessed on outstanding balance. Non-Refundable Room Guarantee Charge $100.00 per year. Assessed to all students entering the housing lottery for the upcoming year and all students residing on campus for at least one semester during the year. Late Registration Fee $50.00 Assessed to students who do not register during the designated registration period each semester. *B.S.B.A. or B.A. students in majors other than Biology, Chemistry, Computer Science, Environmental Studies, Pre-engineering, Mathematics, or Physics taking 20 or more credits will be charged $1,330.00 for each additional credit above 19. B.A. 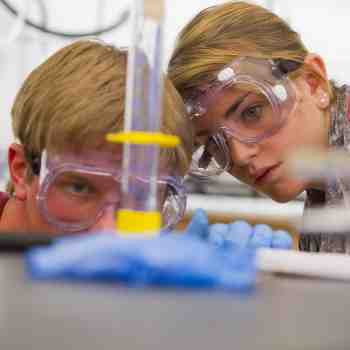 students in Biology, Chemistry, Computer Science, Environmental Studies, Pre-engineering, Mathematics, or Physics and B.S. students taking 21 or more credits will be charged $1,330.00 for each additional credit above 20. ****This fee is mandatory for all resident students. All resident students are required to enroll in one of the four meal plans listed above. Includes $50 Flex food funds. NOTE: Special Fees are non-refundable. Charges currently listed are subject to change. Students are charged for any breakage of laboratory equipment and/or any damage to campus facilities. Each semester’s tuition and room and board charges are billed and payable, with appropriate fees, before the start of each semester. Bills for the fall semester are available electronically in July and due in full by August 15th. Bills for the spring semester are e-mailed in December and due in full by January 2nd. Bills are generated in the student’s name. Students and their assigned authorized users receive e-mails when bills are available on-line. Part-time students who do not register for courses prior to July 1st for the fall and November 1st for the spring must pay all charges in full when registering for their courses. A late payment fee of 1.00% of any outstanding balance may be assessed on the day following the due date. Moreover, an additional 1.00% of the unpaid balance may be charged for each subsequent month in which a balance remains unpaid. Students are not billed separately for this charge. The College is not responsible for billing notification e-mails that are not viewed, returned for address correction, or otherwise undeliverable. Students and their families should be aware that the due dates for each semester typically remain constant from year to year and, it is their responsibility to meet the payment date. The students may view their account information on-line through myHill. The due date is not adjusted, nor is the late charge waived, if a billing notification sent by the College in a timely manner is not received (or is received late) by the addressee. The College has the right to refuse personal checks for any payment made after the due date and may require all future remittance via cash, bank check, or money order for students or families who have jeopardized their credit standing with the College. Except for courses accepted in transfer from another institution, foreign or domestic, all credits applied toward a degree are billed by and payable to Stonehill, including credits earned at an off-campus location such as an internship site or a school where practice teaching takes place. If an institution or agency charges a service fee to the College for the supervision of student interns, etc., the College will pay the fee if the student’s current tuition payment to the College is sufficient to cover the fee. Otherwise the student shall be responsible for paying the fee. The College has a policy of Direct Billing for matriculated Stonehill students who participate in approved international or domestic external programs (whether internships or study abroad experiences) that are not provided by the College. The College will contract with each program provider to offer the agreed-upon academic experience and will forward all deposits and institutionally-negotiated program fees to the provider on behalf of the students approved to participate by the International Programs Office. If the student ultimately attends the external program, the College will be reimbursed for the pre-paid deposit and program fees through the tuition, fees, and room/board assessed to his/her account. If the student does not attend the external program, for any reason whatsoever after the College has paid the deposit and/or program fees on his/her behalf, the student is obligated to reimburse the College for the full amount of any non-refundable deposit, in addition to any charges for standard tuition, fees, and room and board that are assessed to the student’s account. Students in approved external programs will be charged and billed for current Stonehill tuition and mandatory fees, plus Stonehill’s room and/or board if the provider’s advertised standard program costs include room and/or board. If the program fee includes tuition but not room and board, the student will be charged Stonehill’s tuition and mandatory fees only. 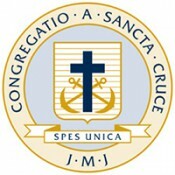 If the program fee includes tuition and room, the student will be charged Stonehill’s tuition, mandatory fees, and room and board minus the initial declining balance established for Meal Plan C. If the program fee includes tuition, room and board, the student will be charged Stonehill’s tuition, mandatory fees, and room and board. Stonehill Basketball Scholarships and Tuition Exchange Scholarships are not typically transferable. State law requires that students taking nine or more credits carry health insurance and annually provide proof of such insurance to the College. At the beginning of each academic year, all students enrolled in nine or more credits are billed for insurance coverage under Stonehill College Accident and Sickness Insurance policy offered by Gallagher Student Insurance. This premium may be waived only when the College receives the completed on-line waiver from Gallagher Student Insurance at gallagherstudent.com. The insurance premium on your bill will be cancelled ONLY if the on-line waiver process is completed by the payment due date. The standard late fee may be charged against the assessed insurance premium if the waiver process is not completed on time, regardless of whether or not the insurance is waived. Students wishing to enroll in the College’s plan must complete an on-line acceptance at Gallagher Student Insurance. Coverage extends from August 13th to August 12th. You will not be permitted to start classes until Stonehill College receives electronic confirmation from Gallagher Student Insurance that the waiver or acceptance process is complete. Students planning to live on campus will be assessed an annual $100.00 non-refundable Room Guarantee Charge assessed on the fall semester bill. This charge acts as a reservation fee. Any student who withdraws from campus housing after reserving a room for the following year will forfeit his/her Room Guarantee Charge. Current resident students who do not intend to return to housing for the following academic year must notify the Director of Residence Life in writing by the date by which housing selection forms are due in order to avoid the Room Guarantee Charge. Those students who submit housing selection forms and then withdraw from housing will forfeit their Room Guarantee Charge. Students residing on campus for at least one semester during the academic year will be charged the full annual fee. All incoming students will pay a guarantee deposit of $750.00 by the specified commitment date. These funds are credited to the first tuition bill, and are not refundable. A student may voluntarily withdraw from the College for personal or medical reasons or the College may involuntarily withdraw a student from the College for disciplinary, administrative, or medical reasons. Suspension, separation, or dismissal of students for disciplinary reasons shall be governed by Stonehill’s Community Standards and student discipline system and Substance Awareness Policy and Statement of Compliance with the Drug Free Schools Community Act. Separation of students for academic reasons shall be governed by the Academic Standing Policy . Students may withdraw from individual courses up and until the Last Day for Course Withdrawal as determined by the Vice President for Academic Affairs or designee. The Last day for Course Withdrawal will vary based on the Academic Calendar. Procedures for administering the withdrawal and refund process shall be created and reviewed periodically by the College. The procedures shall be maintained by the Office of General Counsel. The General Counsel shall publish the procedures on his or her website or in another area of the website as designated by the General Counsel and these procedures shall become the official version of the procedures. Changes made to the procedures during an academic year shall be published electronically in the same area of the website where the procedures were originally published. A student may voluntarily withdraw from the College for personal reasons. Personal reasons are defined as any legitimate reason other than a medical reason. A student who wishes to withdraw from the College for personal reasons must sign and complete the College Withdrawal Form available in the Office of Academic Services & Advising. A student withdrawing for personal reasons must receive the signed approval of the Director of Academic Services & Advising or designee. Signed approval will normally only be granted upon the student’s completion and submission of the College Withdrawal Form and the completion of an Exit Interview with the Office of Academic Services & Advising. Students contemplating a withdrawal or change in their enrollment status are encouraged to meet with Student Financial Assistance prior to completing the withdrawal process to discuss the financial impact of their decision, including refund eligibility, Satisfactory Academic Progress requirements, future eligibility for financial aid, and the possibility of having to pay for a course in which the student is no longer enrolled and for which (s)he will receive no credit. Student Hill Cards must be returned at this time. For resident students, room keys must be returned to the Residence Life Office. Students who withdraw from the College after the last official date of classes are considered to have completed the courses for which they were enrolled on the last class day of that semester. In those cases where the specific last date of class attendance must be determined, the student’s faculty members are contacted in order to establish such date. A student who stops attending classes, or otherwise leaves the College or does not return to the College following any break in an academic session, but does not complete the College Withdrawal Form, or otherwise comply with the requirements of a different section of these procedures, shall be deemed withdrawn from the College on the day following the last day for “Add/Drop” as listed on the Academic Calendar or at an earlier or later date as determined by the College based on the factual circumstances. In such cases, the College’s designation of the student as a withdrawal shall only be changed or amended upon the recommendation of the Vice President for Academic Affairs or designee. Students who previously attended Stonehill College but withdrew prior to completing their program must apply to the Office of Academic Services & Advising for readmission. This process may be initiated any time after March 15th, but must be completed by July 1st for the fall semester. For the spring semester, this process must be completed between October 15th and December 1st. A student may voluntarily withdraw from residency for personal reasons. Personal reasons are defined as any legitimate reason other than a medical reason. A student who wishes to withdraw from residency for personal reasons must sign and complete the Residency Withdrawal Form, which is available from the Residence Life Office. Students are not guaranteed future residency after withdrawing from College housing. Students seeking residency should discuss any available options with the Director of Residence Life or designee. Students who are suspended or dismissed from residency as a result of disciplinary sanction should refer to Stonehill’s Community Standards and student discipline system and Substance Awareness Policy and Statement of Compliance with the Drug Free Schools Community Act as well as the specific requirements of their hearing outcome letter to determine their eligibility for a return to residency. A student may voluntarily withdraw from the College or from residency for medical reasons. Medical reasons include physical or mental health conditions which prevent or constructively prevent a student from participating in the academic or residential programs offered by the College in any meaningful way. A student who wishes to voluntarily withdraw from the College or residency for medical reasons must submit a written request to the Vice President for Student Affairs or designee. Ordinarily, a student must commence the voluntary withdrawal process within 15 days of leaving the College. Supporting medical documentation from the student’s healthcare provider must be submitted to the College’s Designated Health Care Professional. The Designated Health Care Professional will review the request and supporting medical documentation and submit a written recommendation to the Vice President for Student Affairs or designee as to the sufficiency of the grounds for the request. In some instances, the Vice President for Student Affairs or designee may require additional information from the student in order to allow the Designated Health Care Professional to make an informed recommendation. In consultation with the Designated Health Care Professional, the Vice President for Student Affairs or designee shall either approve or deny the request. If approved, the Vice President for Student Affairs or designee shall notify the student, the Director of Academic Services & Advising, Student Financial Assistance, and the Director of Residence Life (as applicable) to commence with withdrawal process. Neither the Director of Academic Services & Advising nor the Director of Residence Life may grant a medical withdrawal without the approval of the Vice President for Student Affairs or designee. Upon approval of a medical withdrawal, Student Accounts and the Residence Life Office shall process refunds in accordance with the alternative medical withdrawal refund calculation procedures. 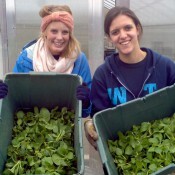 Ordinarily, a medical withdrawal will result from the student’s voluntary efforts. In exceptional circumstances, a student may be asked to leave the College or the residence halls involuntarily. In this case, the student may be eligible to receive a refund based upon the alternative medical withdrawal refund calculation procedures. The reasons for the recommendation must be documented in writing by the College’s Designated Health Care Professional(s). Whenever reasonably possible, a meeting between the student and the Vice President for Student Affairs or designee will be held prior to the imposition of an involuntary medical withdrawal in order for the student to indicate why an involuntary medical withdrawal should not be invoked. Following this meeting, the decision of the Vice President for Student Affairs or designee will be final. Once invoked, the involuntary medical withdrawal becomes effective immediately and the student will be required to leave campus and/or the residence halls. In certain cases, advance notice may not be possible. In order to return to academic coursework and/or residency, the student must forward documentation to the Counseling and Testing Center or Health Services regarding treatment received during the period of withdrawal. The documentation submitted needs to include a treatment summary, a statement that the student’s medical situation does not preclude safe attendance at the College, including the successful completion of academic coursework and/or the ability to live independently in College residence halls, and any recommendations the provider may have for treatment or support services upon the student’s return. The student may be required to meet with the College’s Designated Health Care Professional(s) for an assessment prior to returning. The student may also be required to permit his/her healthcare provider(s) to consult with the Vice President for Student Affairs, College’s Designated Health Care Professional(s), or designees, as needed. The Vice President for Student Affairs or designee, in consultation with the College’s Designated Health Care Professional(s), will make the final decision as to whether or not a student may reapply for residency and/or begin the readmission process. No college office may grant readmission or conditional readmission to a student, or allow a student to register or receive financial or institutional aid, who has been away from the College for a medical reason, without first receiving the written approval of the Vice President for Student Affairs or designee. While a student is on a voluntary or involuntary medical leave, he or she will not be eligible to participate in the housing selection process or reserve a specific housing assignment. In addition, students on voluntary or involuntary medical leave should contact the Associate Vice President for Student Affairs/Dean of Students or designee two weeks prior to the registration process to review the readmission process. Students may be conditionally approved to register for the following semester; however, students must then meet all stated requirements in order to return to the College and officially resume residency and/or coursework. If a student has left the College for any period of time due to a medical reason, even if a voluntary or involuntary medical withdrawal has not been processed, the student shall be subject to the conditions of return after a medical withdrawal as described herein. The College reserves the right to withdraw any student who fails to comply with this process. For fiscal reasons the College must anticipate that enrolled students will complete the semester to which they were admitted and the number of courses/credits for which they have enrolled. Therefore, the College does not guarantee or promise the availability of a tuition refund. If the College, in its sole discretion, determines that a refund is available, the calculation process outlined herein will apply. The Associate Director of Student Accounts will determine the amount of a tuition refund available based on the official withdrawal date of the student as determined by the Director of Academic Services & Advising. A student who does not follow the procedures for receiving a withdrawal may forfeit his or her rights to a refund within Federal Title IV regulations. The tuition refund is calculated less any fees and deposits. Fees and deposits are non-refundable. When determining refunds, the College shall at all times comply with federal and state laws regarding the refund of federal or state financial aid funds. Current regulations require the College to refund such funds on a pro-rated basis for any student who withdraws before 61% of the applicable semester has been completed. For example, a student who completed 23% of the semester will keep 23% of his or her federal and/or state funds. The remaining 77% will be returned to the funding sources. Students receiving College funds will have these awards pro-rated according to the College’s tuition refund policy listed below. For example, if a student receives 20% tuition refund, he or she will forfeit 20% of his or her Stonehill award(s). Any balance due to the College resulting from refund adjustments of aid is the responsibility of the student. Student/parent loans and government grants are deposited in the student’s tuition account. If a credit balance results, the student will automatically receive a refund if federal financial aid exceeds billed costs. Otherwise, the credit balance will remain on the account and be applied toward subsequent semester charges unless the student or parent (as applicable) specifically requests a refund. A refund, when due, will be made payable to the student and mailed to the permanent address of the student then on file with the College, unless the College is instructed otherwise in writing. When the deposit of a parent loan results in a credit balance, the refund will be made payable to the parent and mailed to the parent’s home address then on file with the College. The College endeavors to quickly and efficiently process all refunds. Ordinarily, the refund process takes approximately 14 business days. However, the refund process may take longer based on the timing of depositing and confirmation of checks. Ordinarily, a refund of payment received by check does not begin until at least 10 business days after it is deposited by the College. A refund will not be made for an amount less that $25.00 unless a student has graduated or withdrawn. Refunds will not be processed until funds for pending and/or verified financial aid have been received and applied to the student’s account. The following schedule applies to all enrolled students in any of the College’s programs who withdraw from the College for personal reasons or who withdraw from a course or courses and/or change their status from full-time to part-time. 12. Part-time students who withdraw before the first day of a class will receive a full refund of tuition for that class. based on the full-time rate. Pro-rations will be based on the Tuition Refund outlined above. For fiscal reasons the College must anticipate that enrolled residential students will complete the semester to which they were admitted as residential students. Therefore, the College does not guarantee or promise the availability of a room and board refund. If the College, in its sole discretion, determines that a refund is available, the calculation process outlined herein will apply. The date of a student’s withdrawal from residency shall be determined by the Director of Residence Life or designee and will be used by the Associate Director of Student Accounts to determine the pro-rated room and board overhead charges. A student who does not follow the procedures for receiving a withdrawal may forfeit his or her right to a refund. Room and board overhead charges will be refunded according to the following schedule for all students who withdraw from residency, whether voluntarily or involuntarily. 5. Students who reduce their course-load to fewer than 12 credits per semester may forfeit their eligibility for residency. 6. The room guarantee fee is non-refundable. A student who has complied with the procedures for and subsequently received approval for a voluntary medical withdrawal or has been presented with an involuntary medical withdrawal by the College may be eligible for an alternate refund calculation as outlined below. Tuition charges will be pro-rated from the first day of classes to the student’s last day of class attendance, based on the daily rate from the first through the last day of classes for that semester. Room and board overhead charges will be pro-rated, from the first week of classes to the end of the week in which the student actually relinquishes occupancy of his or her room. The meal plan refund shall be equal to the amount remaining in the student’s declining balance account less any administrative fees, which are nonrefundable. Institutional aid will be pro-rated, calculated on a daily rate from the first through the last day of classes for that semester. Government aid will be refunded in accordance with state and federal law and applicable regulations. The Alternative Medical Withdrawal Refund Calculation may be granted only once in a student’s Stonehill career. The College recommends that all full-time students seriously consider purchasing the tuition refund insurance offered by A.W.G. Dewar Inc. through a mailing to all students. The total family reduction will be divided and applied equally to each family member. NOTE: Family members include only dependent members of a single household. Current and prospective students are encouraged to consider all expenses anticipated for the entire period of education to determine if family resources need to be supplemented by financial aid in order to meet these expenses. College policy requires that all students who need financial assistance apply for all available aid from federal, state, institutional, and private sources. The College awards financial aid within two annual payment periods. The fall period includes courses that begin July 1st and after through December 31st. The spring payment period includes courses that begin January 1st and after through June 30th. Courses taken within these two periods determine enrollment status for financial aid purposes. Applicants for admission, transfer students, and returning students who wish to renew or be considered for need-based grants and scholarships, loans and/or campus employment must file a complete Financial Aid Application each year. For every aid applicant: the Free Application for Federal Student Aid (FAFSA) or Renewal FAFSA, completed in its entirety and processed through the federal processor. Under the College Release section, list Stonehill with federal code number 002217. For full-time first year, transfer, and other first-time aid applicants: The Profile Form from the College Scholarship Service (CSS) is required for consideration of all institutional aid, including, but not limited to athletic aid, need based aid, and some forms of merit scholarships. Priority deadline for regular decision is October 1 to your admission application submission deadline. Under the College Release section, list Stonehill with the CSS code number 3770. IRS Data Retrieval or Tax Return Transcripts. Stonehill Supplemental Application, completed by returning students. Verification of sibling college enrollment. Signed copies of parents’ federal income tax return, all schedules, and W-2 forms; or Statement of Non-tax Filer. Signed copies of student’s federal income tax return and W-2 forms; or Statement of Non-tax Filer. Any other documents/material deemed necessary for verification. First-Year Applicant: FAFSA is available on-line at www.fafsa.gov. The CSS Profile form is available on-line at http://student.collegeboard.org/profile. Transfer Applicant: New and Renewal FAFSAs can be completed on-line at www.fafsa.gov. The CSS Profile form is available on-line at http://student.collegeboard.org/profile. Renewal FAFSAs for returning students are now available on-line only at www.fafsa.gov, accessible with a secure login and password (FSA ID). Further information regarding the FASFA ID is available at www.pin.ed.gov. To receive federal financial aid, a student must also: be registered with Selective Service if male and at least 18 years old (or not be required to do so under federal law); have no federal student loans in default status; owe no refunds to the Pell Grant, SEOG or SSIG Programs (Title IV, HEA Grant) for attendance at any institution; be a U.S. citizen or eligible non-citizen; have no drug-related convictions while receiving federal or state financial aid (depending on type of offense) and certify this on the FAFSA form; and meet Satisfactory Academic Progress requirements as listed above. To maintain the integrity of the programs administered by Stonehill College and to insure the equitable distribution of available funds, the accuracy of information submitted on applications for all types of financial assistance, including loans, is typically verified. Therefore, financial aid applicants and their parents are urged to use information from completed federal tax returns when filling out their Financial Aid Applications. It is not recommended that families delay filing the Financial Aid Applications until tax returns are completed, especially if it means a deadline will be missed but, rather, that tax returns be completed early. Using accurate information will result in fewer corrections to an application and, consequently, fewer adjustments to a financial aid award. Priority filing deadlines: Profile and FAFSA by by the admission application deadline for incoming first-year students; and FAFSA between October 1st and March 15th for returning students. In order to receive or continue to receive financial aid funded by the government and/or Stonehill College (including student or parent education loans, grants, scholarships and jobs), a student must maintain satisfactory academic progress as defined below. Satisfactory Academic Progress: A student must pass a specific number of the credits he/she attempts each academic year. (The number of credits attempted equals the number of credits in which the student is officially enrolled at the end of each Add/Drop period.) Credits that are graded “Incomplete” as well as credits from which a student withdraws after the Add/Drop period are considered credits attempted but not satisfactorily completed. (If an incomplete grade is subsequently changed to a passing grade, satisfactory academic progress can be recalculated based on receipt of a passing grade.) In addition, a student’s cumulative grade-point average at the end of two academic years of study must be at least 2.00, and his/her record must continue to meet this standard at each review. A student must take courses at Stonehill College to raise their cumulative GPA. Students are reviewed annually for compliance with Satisfactory Academic Progress requirements, at the end of each spring semester. In addition to the cumulative grade-point average noted above, this review covers all coursework attempted since the end of the previous spring semester, beginning with any credits taken in the first summer session of the preceding calendar year. To regain eligibility for financial aid after unsatisfactory progress has been declared, a student must complete the number of credits not passed within the period which resulted in the loss of aid and achieve the required cumulative grade-point average. To continue to be eligible for federal Title IV funding, a student must complete in the aggregate, 67% of all credits attempted, including credits transferred in, at the end of the established full academic period. This ensures that no student takes longer than 150% of the normal time for completing his/her degree, based upon enrollment status. For example, in a program requiring 120 credits for graduation, 150% of the normal time equals 180 credits attempted. The time to degree completion includes all courses attempted, including courses from which the student has withdrawn after the Add/Drop period, courses which are incomplete, and courses which have been accepted by the College in transfer. General Provisions: Repeat coursework taken for the purpose of increasing a previously passing grade cannot be considered in qualifying a student for financial aid enrollment status or satisfying a determination of non-compliance with Satisfactory Academic Progress requirements. A positive response to an appeal results in the student being placed on Financial Aid Probation. The student then re-gains eligibility for financial aid for the next financial aid payment period only. Progress will be re-measured subsequent to the period of Financial Aid Probation to assure compliance with SAP after that one financial aid payment period. In total, Stonehill scholarships and grants may not exceed the amount actually charged for tuition. They are credited only to semesters in which the recipient pays tuition to Stonehill. Half the amount of the scholarship is applied to the fall semester and half to the spring semester, provided the recipient meets the preceding criteria. These awards are not applicable to semesters in which tuition is paid to another institution or program, nor may the entire amount be credited to one semester. Scholarships are awarded for and presume full-time continuous attendance at Stonehill, for a maximum of 8 semesters. “Stopping out” for any reason results in forfeiture of the scholarship(s). Stonehill College awards funding that has been gifted to the College as endowment. Many of these scholarships carry restrictions as stipulated by the donors. To apply, returning students must file the complete Financial Aid Application and a Restricted/Endowed Scholarship Application. This special application is available on-line at www.stonehill.edu under Costs & Financial Aid, between February 1st and March 15th for the following academic year. New students do not complete this special application. 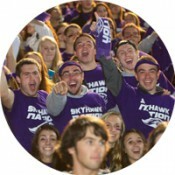 A complete list of available scholarships appears in this catalog and may be viewed on-line at www.stonehill.edu. Funded and administered by the federal government, eligibility for Pell Grant is based on exceptional financial need. Awards vary, based on an index established by the federal government. The Free Application for Federal Student Aid (FAFSA) is the annual application for Pell Grant. Since it is the primary source of federal student aid, all students who seek assistance of any kind are required to apply for Pell Grant. Stonehill College receives from the federal government an allocation of FSEOG funds which it matches by 25%. The total funding is administered by the College and is prioritized to applicants with exceptional financial need. Pell Grant recipients have the first priority. Awards range from $100.00 to $4,000.00 per year and are re-determined annually. The Free Application for Federal Student Aid (FAFSA) is the application for FSEOG funds. Funded and administered by the federal government TEACH Grants are awarded to students who meet certain academic requirements and who indicate they may teach in a federally defined high need school for four years upon graduation. The TEACH Grant reverts to an unsubsidized federal student loan if the obligation to teach is not fulfilled within eight years of graduation. The FAFSA is the annual application and an Agreement to Serve and entrance and exit counseling must be completed, but TEACH does not require that the student have financial need. Stonehill is a matching grant participant in the Yellow Ribbon Program for eligible veterans and their dependents. Students at Stonehill College may compete for Army ROTC Scholarships. Students should investigate the availability of scholarships/grants through their states. Eligible students should submit state scholarship/grant applications by the appropriate deadlines. the FASFA is the application required by most state grant programs. The Federal Direct Student Loan Program. Loan limits are determined by the number of credits completed: up to $5,500 per year for students who have completed fewer than 30 credits; up to $6,500 per year for students who have completed between 30 and 59 credits; and up to $7,500 per year for students who have completed at least 60 credits. Total borrowing may not exceed $34,500 This loan program is funded by the federal government and administered by the College. The Free Application for Federal Student Aid (FAFSA) is used to determine eligibility. There are two types of direct loans: subsidized and unsubsidized. Students who demonstrate sufficient financial need qualify for a base subsidized loan. The fixed interest rate on this loan is 3.76% with a federal origination fee of 1.073%. No interest accrues on this loan while the student attends school at least half time. Those who do not qualify for the full subsidized loan may borrow an unsubsidized up to maximum allowable direct student loan plus the supplemental unsubsidized loan of $2,000; however, the student must either pay the interest on this loan while in school or opt to capitalize the interest and pay it, along with the principal, upon leaving school. The fixed interest rate on the unsubsidized loan is 3.76%, and the federal origination fee is 1.073%. Repayment of principal for both types of loans begins six (6) months after the student ceases to be enrolled at least half time. Promissory Notes for the Direct Student Loan Program are available on-line at the federal web site www.studentloans.gov The loan funds (net the 1.073% origination fee) are credited directly to the student’s tuition account, half in each semester. It is not necessary for a student to complete a promissory note for every year in which (s)he borrows through the Federal Direct Student Loan Program. A Master Promissory Note is completed for the first year in which the student borrows and remains in effect for each subsequent loan borrowed for a total of 10 years. The Federal Perkins Loan Program. This federally-sponsored loan program is administered by the College on a funds-available basis. Eligibility is based on need as shown on the FAFSA. The interest rate is fixed at 5%; repayment begins 9 months after the student ceases to be enrolled at least half time. In addition to the scholarship, loan, and grant opportunities described above, limited part-time employment is available to students who can, without jeopardizing their academic standing, devote time to campus jobs. The College participates in the Federal Work-Study Program, which serves to expand the opportunities for part-time student employment on campus. The Work-Study Office has identified and classified Community Service positions off campus as well. These job postings are designated as such and are reserved for students who qualify for Federal Work-Study. To be considered for academic year employment, a student must have a processed FAFSA on file in Student Financial Assistance. A comprehensive listing of financial aid programs is contained at www.stonehill.edu under Costs and Financial Aid. Many families prefer to spread tuition and fee payments throughout the year rather than make one large payment prior to each semester. The College offers an 4 and a 5-month payment plan each semester. There are no interest charges; the current enrollment fee is $30.00 per semester. Enrollment takes place on-line and all payments are automatically withdrawn from the payer’s checking account each month. The contract amount is the balance due on the student account at the time of enrollment. Students receiving institutional or government financial aid (Perkins Loan, Supplemental Educational Opportunity Grant, Pell Grant, State Scholarships, Direct Loan, etc.) or educational assistance (Veterans’ Benefits) should consider the possible loss of, or reduction in, this assistance before enrolling for other than full-time student status. The effect on financial assistance must be considered in any decision to accelerate course requirements or to reduce ones course load. The College must anticipate for fiscal reasons that all financial obligations to the College will be paid in full. Failure to meet these obligations may result in Administrative Withdrawal from the College. In the event that a student leaves the College owing monies for tuition, room and board, fees, fines, or holds delinquent loans, the College reserves the right to withhold grades, official transcripts, and/or additional services within the confines of the Buckley Amendment. The College reserves the right to withhold grades, diplomas and official transcripts and/or to deny participation in graduation exercises to any student who owes monies, books, or equipment to the College or who has failed to fulfill all obligations to the College, or who is in default on a federal student loan. The College also reserves the right to refuse payment it determines to be unacceptable and the right to require that payment made after the due date be by cashier’s check. Payments made after May 1 and prior to the end of the academic year must be in cash or by certified check. Personal checks will not be accepted after that date. If for any reason the College must refer an account to an outside agency for collection, the College reserves the right to add any and all legal and/or agency fees to the account balance. The College also reserves the right to report the outstanding account to a credit reporting bureau.